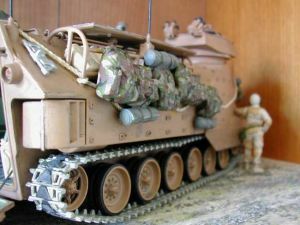 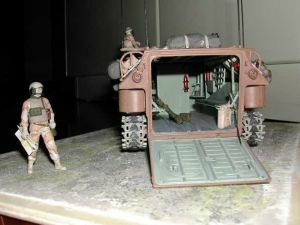 – adding accessories from Tamiya kit “Modern US Military Equipment Set”. 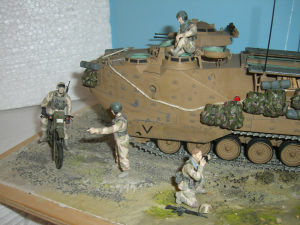 Figures are from Dragon kit “U.S. Tank Crew“. 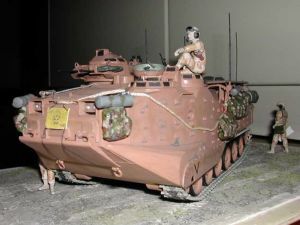 A lot of reference pictures for the model have been found at the Marines Training and Education Command web site. 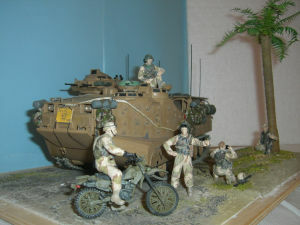 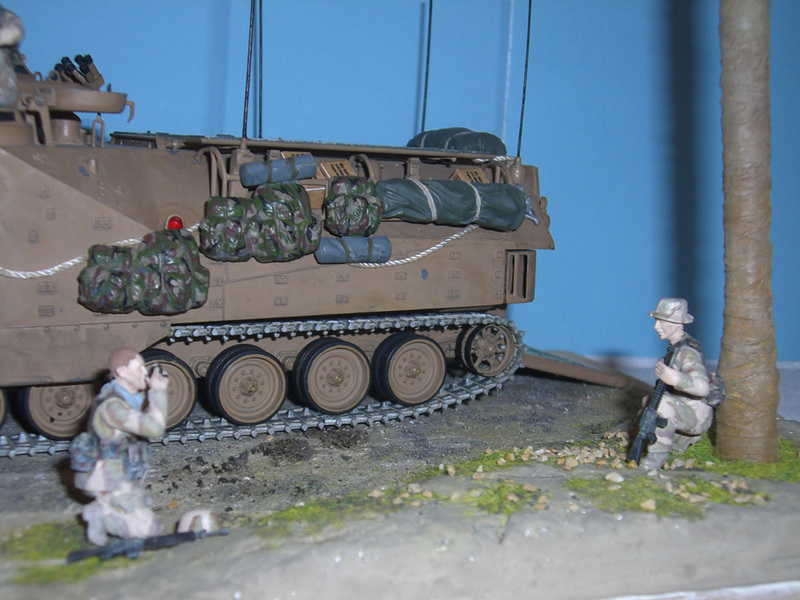 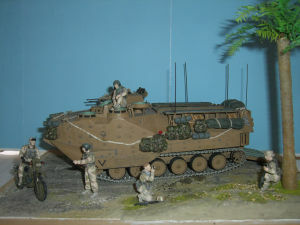 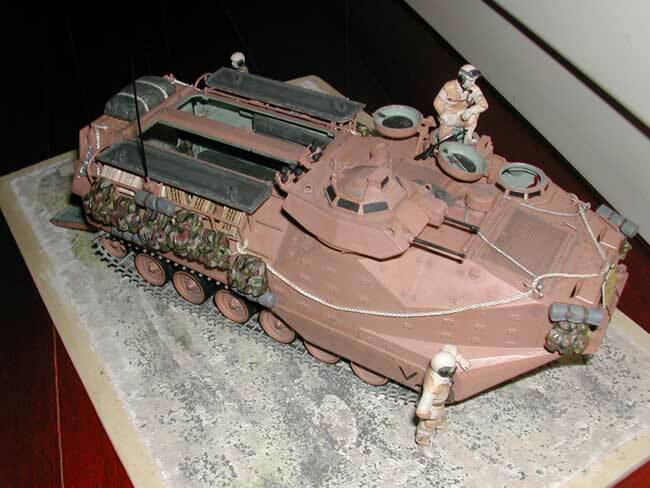 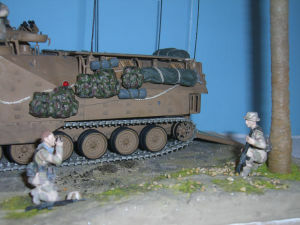 February 2010 – A few years after the model was completed I decided to make the diorama richer. 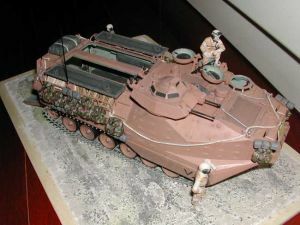 Scroll down to view it. 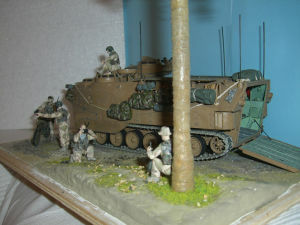 In the new version of the diorama I have enhanced the two crew members (from the Dragon kit “U.S. 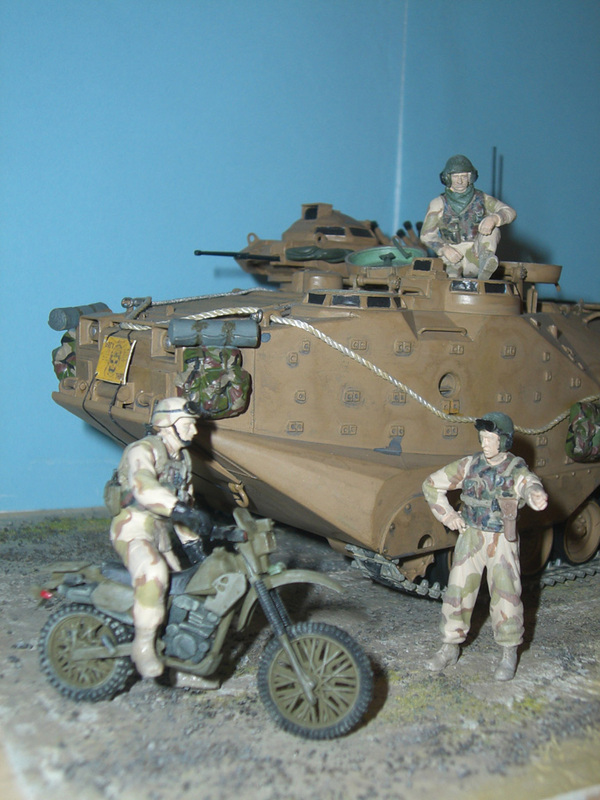 Tank Crew”) using parts from the Verlinden conversion kit “US Tank and AFV Crews Iraq” (p/n 2434). I have also added the two figures from Verlined kit “Souvenirs Iraq” (p/n 2395). Finally I have included a Kawasaki KLR 250 bike and its biker, both taken from the Dragon kit “US Light Infantry” (p/n 3009). Since the biker was ODS era, I updated the figure with a new torso taken from the Verlinden conversion kit “Modern US Iraq – Afganistan Figure Conversion Parts” (p/n 2177). 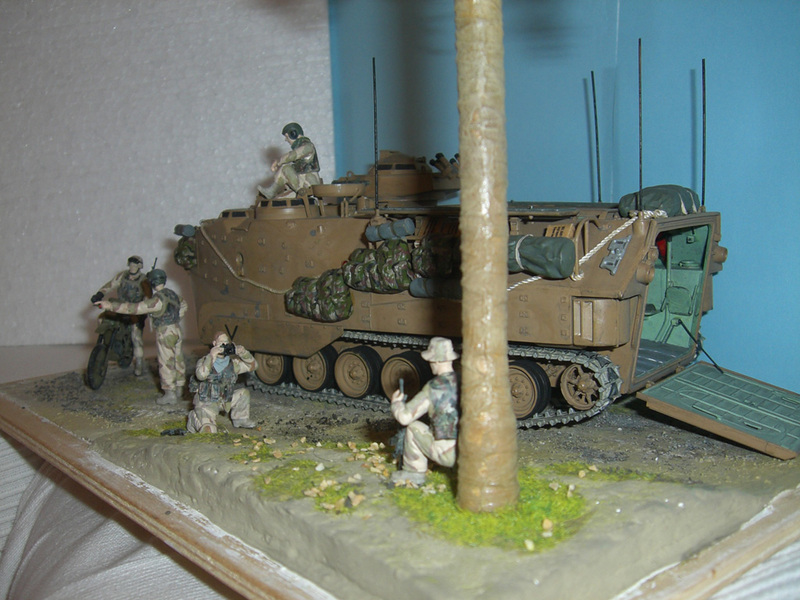 For this diorama I have built my first palm tree, using the technique proposed by Chas Young in Armorama (see his tutorial here).